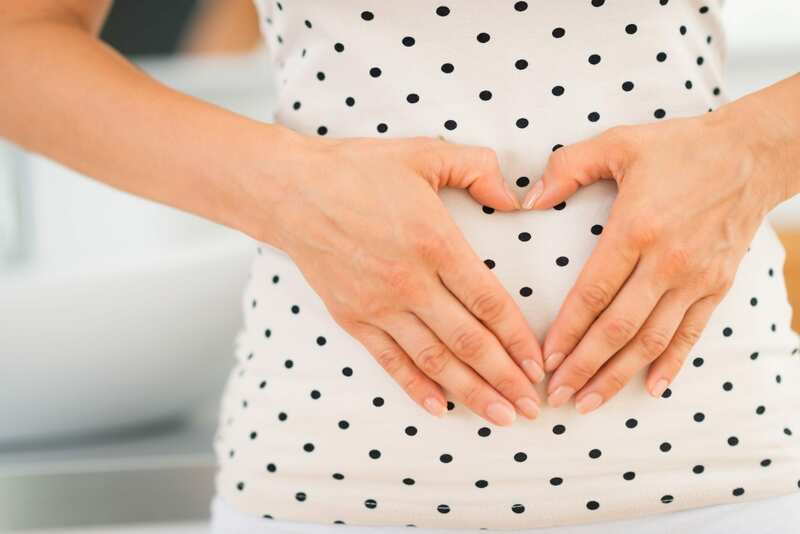 Deciding whether or not to tell your family and friends the exciting news about your pregnancy during your first trimester is a personal choice. Some people are all for it and others feel more comfortable waiting until they are further along. I decided to wait till I was 12 weeks to share our pregnancy news, and I learned a few things about how to get away with not being found out. 😉 If you have decided to keep your pregnancy a secret until you hit your second trimester, here are some tips on how to be successful! I had a few brunches planned with friends, and I needed to be sneaky. They are the friends that would know something was up if I didn’t order a mimosa or bloody mary. That’s why I made sure to show up to each gathering extra early so that I could be the first one there. I told the waiter that I was pregnant and that I was still not sharing the news with others and if they could keep it a secret and make me virgin drinks that look the ones they will be giving my friends, we are good! Worked like a charm!! 2. Order your own drinks. If you are going to an event where there is a bar, order your own drinks by yourself. Ask for water or soda and add a lemon or lime to it. Viola! It will look like you have a cocktail. You could also ask for a virgin cocktail if you want a faux margarita or pina colada. Just don’t forget to sip your drink slowly, as you would with an alcoholic beverage. And if you really want to be convincing, act a little tipsy. 3. Say you are on a cleanse and detoxing for health reasons. 4. Say that you are hungover. This one worked for me at one gathering. Your friends or family may say that an extra drink will help (some “hair of the dog”), but if you refuse they won’t question you. 5. Take the drink but don’t drink it. If you have friends in your life that won’t take no for an answer (like when you’re at a bachelorette party or New Years Eve party), just accept the drink, pretend to take some sips but don’t really drink it. People aren’t going to be paying that much attention to you drinking your beverage. Then give it to your spouse to drink or go to the restroom and throw it down the drain. No one will ever know! 6. Say you’re the designated driver. Maybe you don’t want to spend money on an Uber ride or taxi. What?? That’s being responsible! 7. Say you have to work later that day or work early the next morning. People will understand that you don’t want to go to work tipsy or hungover. It’s nice to be able to have a friend who you can tell so that he or she may also be able to help you disguise your secret. They can help shield drinks from you and back up your story. Every woman’s body is different. Some women don’t see or notice major changes to their body until they are well into their second trimester. As for me, my pants were getting a tad bit tighter around 10 weeks. I could still zip them up, but some of my pants wouldn’t button. Things can begin to get a bit snug, and that’s okay. Here’s how you can mask it. 1. Wear loose fitted clothes. This doesn’t mean you have to wear a tent or oversized clothing. All I mean is that I wouldn’t choose options that are tight or form fitting if you already see some noticeable changes. Wear flowy tops and dresses and loose skirts to remain comfortable and cute. A jacket, sweater, cute kimono, oversized scarf, or oversized bag can all mask the makings of a baby bump. It is one of my favorite “colors” to wear. It makes everyone look a little leaner and hides baby bumps very well! Of course you want to tell your other children that they are going to have a baby brother or sister. How exciting!! They will have a best friend forever. But if your children are old enough to talk, but young enough to not fully understand the concept of a secret, then I would refrain from sharing their new big brother/big sister status with them. They may spill the beans nonchalantly, without meaning to. This is the time where you might be experiencing morning sickness and major fatigue. It’s okay to say no to invites. You aren’t feeling well and that’s not a lie. Or if you know you have an event coming up where it will be difficult to stay off the radar, then don’t go. Unless it’s your family member’s wedding, I’m sure it will be fine. You need to take care of you and your little bun in the oven, and you shouldn’t feel guilty about that. Even though I chose to wait until 12 weeks to announce my pregnancy, don’t feel like you have to. Some women feel afraid to share their news since the risk of miscarriage is much higher during the first trimester than any other trimester, but some people feel that hiding the beginning of a pregnancy can be a disservice to women. They feel that by hiding a lost pregnancy it is sending a signal to women that miscarriage is something to be embarrassed about and not to talk about–which we couldn’t feel more opposite. Unfortunately, this cultural norm is a reason why many women don’t talk about miscarriages and share their stories.